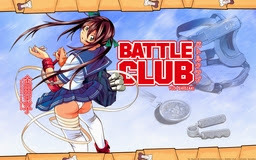 Battle Club wallpaper with Kaneda Tamako (金田玉子). This wallpaper is really simple, but that is what I wanted. I was thinking that there are only few wallpaper of Battle Club, so I decided to make one.